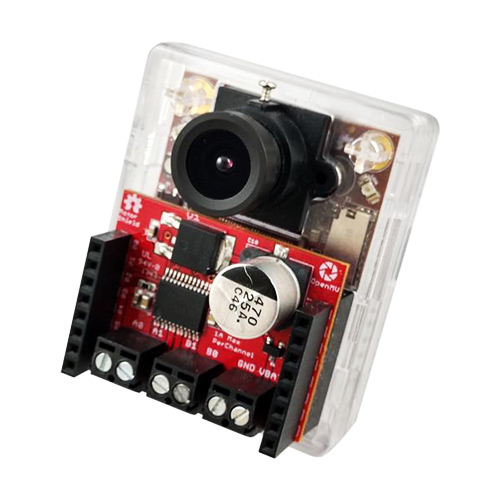 The motor shields provides a convenient way of powering your OpenMV Cam and controlling low-power motors in one package. 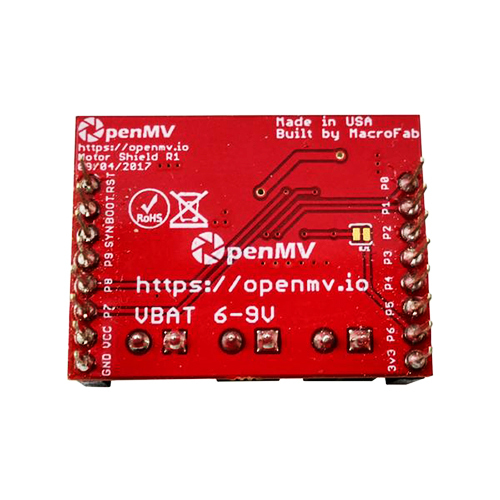 It features a 5V linear regulator to power your OpenMV Cam from a battery along with a motor driver chip to power two <2A low-power motors from the same battery. The motor driver chip has 2 pins per motor to set its internal H-Bridge direction for each motor and an additional pin per motor for PWM control. So, once you set your driving direction you just have to control the PWM per motor. 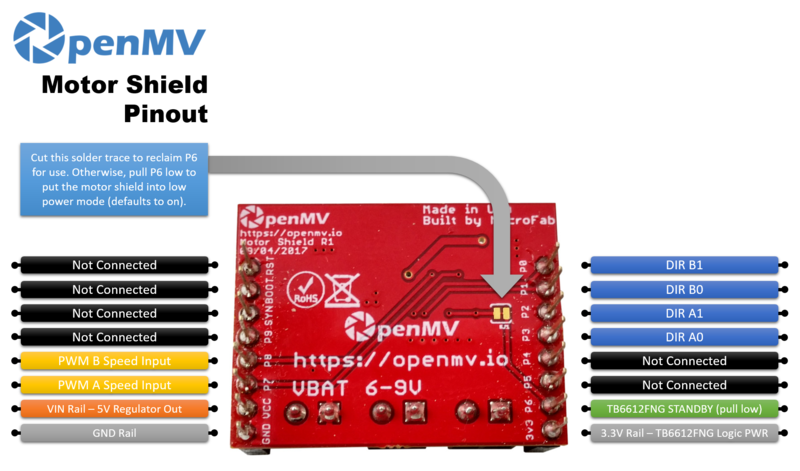 The motor driver shield is all you need to make an OpenMV Cam robot that can drive around. 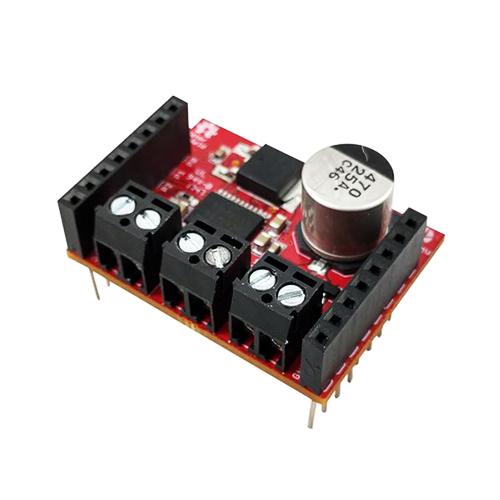 You can also use the motor driver shield to control solenoids or any electromechanical circuit that draws less than 2A. The motor driver chip has 4 push-pull outputs. OpenMV Servo Shield - 8 Channel The Servo Shield gives your OpenMV Cam the ability to control up to 8 servos in parallel. 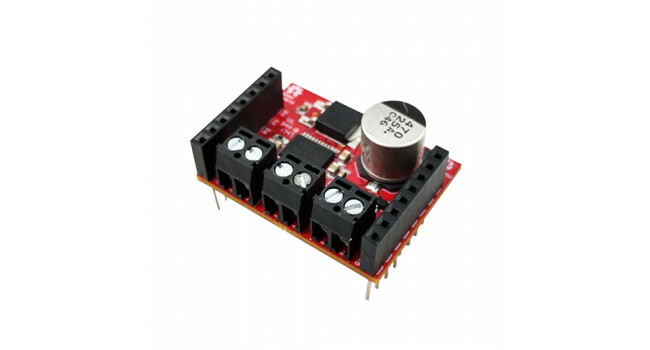 It features the PCA9685 Servo Controller which can also do general-purpose P..